This year, the China Cultural Center in Brussels celebrates its third anniversary. 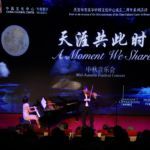 The Center combined the celebratory event on this occasion with festivities for the Mid-Autumn Festival, resulting in a wonderful night of music and moon-gazing. On September 24, the week started off on the right foot at the China Cultural Center in Brussels. 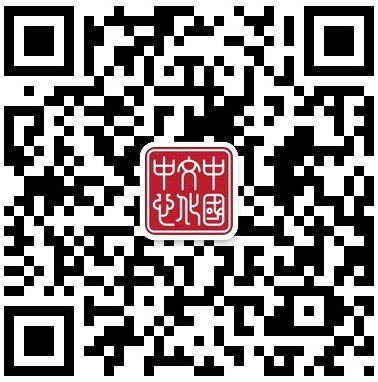 This Monday was marked by the lunar calendar as the Mid-Autumn Festival, also known as Moon Festival, for which the Center organized an evening of festivities. At the same time, the third anniversary of the Center’s establishment was celebrated. 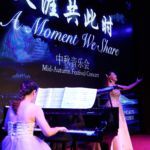 On this occasion, the Center partnered with Shanghai Opera House and Music Projects for Brussels to host this classical music concert, “A Moment We Share”. Over 150 guests attended the event, including a number of honorary guests. The Center was privileged to welcome the new Ambassador of the People’s Republic of China in the Kingdom of Belgium, H.E. CAO Zhongming, and the Chairman of the Belgian-Chinese Chamber of Commerce, Mr. Bernard DEWIT, who both delivered a speech to open the event. 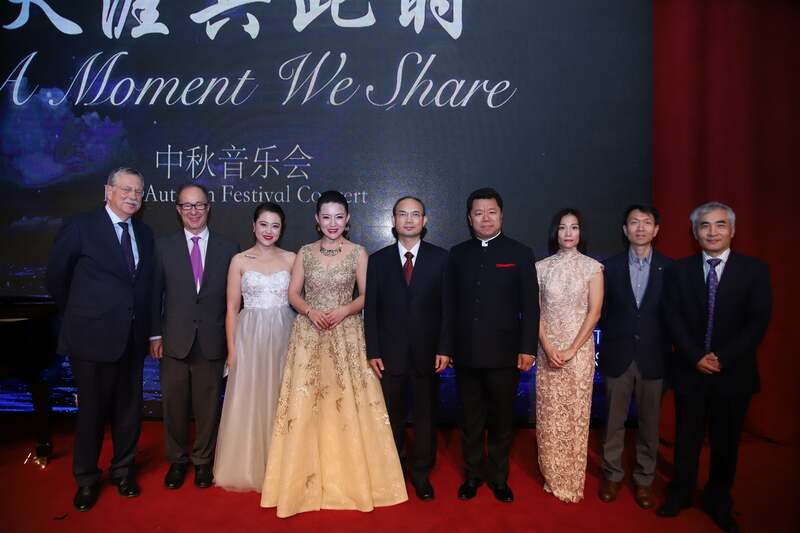 Also Mr. ZHANG Chi, Minister Counselor of the Chinese Embassy in Belgium, Mr. XIANG Shihai, Counselor of Culture of the Chinese Embassy in Belgium, and Bert De Graeve, Chairman of the Board of Directors of Bekaert, were among the honorary guests. 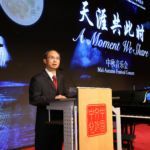 The opening words by Mr. TAN Shu, Director of the China Cultural Center in Brussels, paid tribute to the Center’s third anniversary by painting a picture of the range of different events the Center has organized and participated in during the past three years. As he stated, the Center is “striving to create a platform to promote cultural exchanges between China and the West”, which “contributes positively to the continuous development of China-EU and China-Belgium relations”. H.E. CAO Zhongming, who had only arrived in Belgium four days prior to the event, took the floor next. His speech reiterated the importance of cultural exchange. He praised the fruitful partnerships between China and Belgium as well as China and Europe, and the part the Center plays in these good relations: “Cultural exchanges bring the people together and contribute greatly to our bilateral relations.” The Ambassador also wished everyone a happy Mid-Autumn Festival. 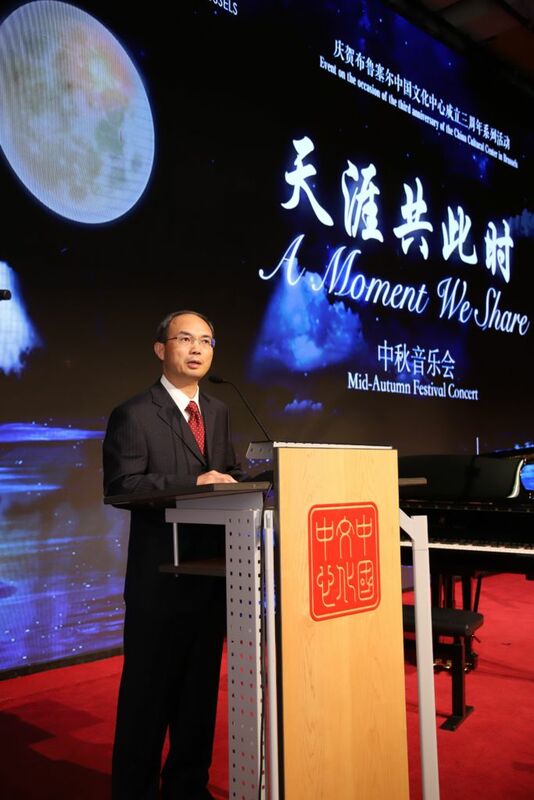 Mr. Bernard DEWIT followed suit and thanked the China Cultural Center in Brussels for creating a home for Chinese companions to enjoy Mid-Autumn Festival, instead of feeling homesick. He also thanked H.E. CAO and congratulated Mr. TAN on the Center’s growing visibility in Belgium. After the opening speeches, the artists entered the stage. 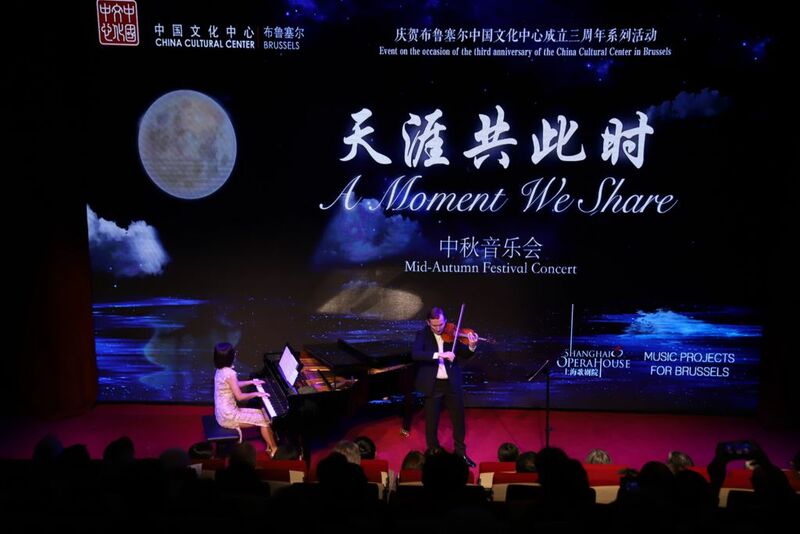 Both Chinese and European artists were invited to perform, symbolizing the friendship between China and Europe, which was also reflected in the concert’s program. 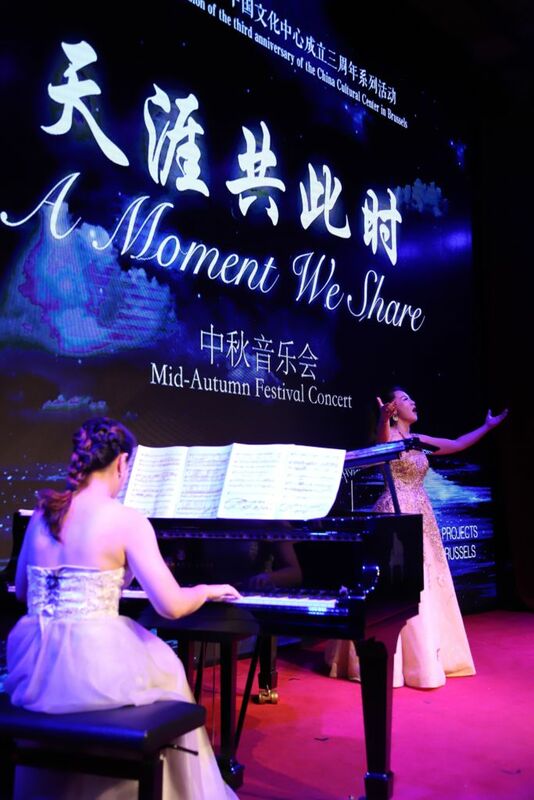 Ms. SONG Qian brought a soprano solo, while Mr. ZHANG Feng performed a baritone solo. 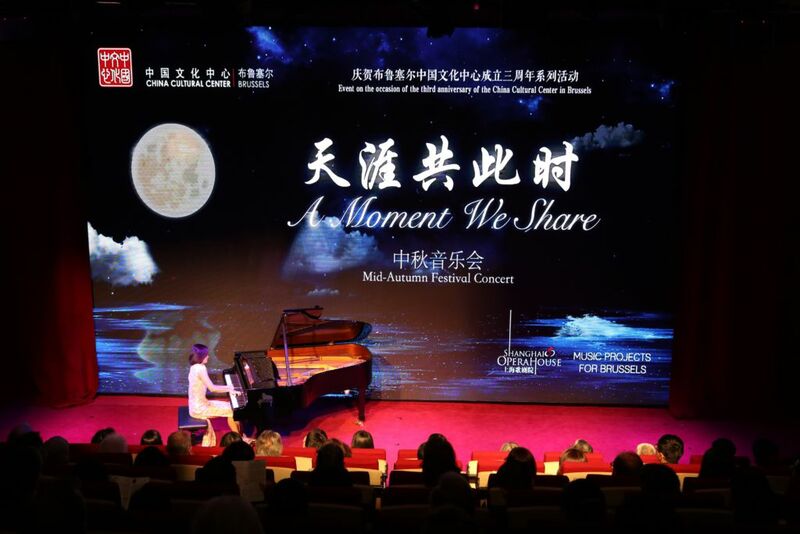 Both were accompanied by pianist Ms. SHEN Ye. Their selection of songs also consisted of a mix of European and Chinese pieces, including “I Love You, China” and the “Toreador Song” from the opera Carmen. Of course, references to the moon were essential in this selection, also featuring “Song to the Moon” and “Hometown of the Moon”. 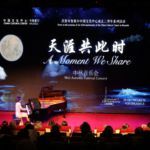 The piano solo that Ms. CHANG Yu-fen brought was also a fusion of European and Chinese works, like Eight Memories in Watercolor – Autumn Moon and Sonata Reminiscenza. Later she was joined by Mr. Nikita BORISO-GLEBSKY, as they performed a piano and violin duet. The last performance of the evening was a duetto by Ms. SONG Qian and Mr. ZHANG Feng. As they sang “My Motherland and Me”, the emotional attachment people feel to their motherland became palpable in the room. 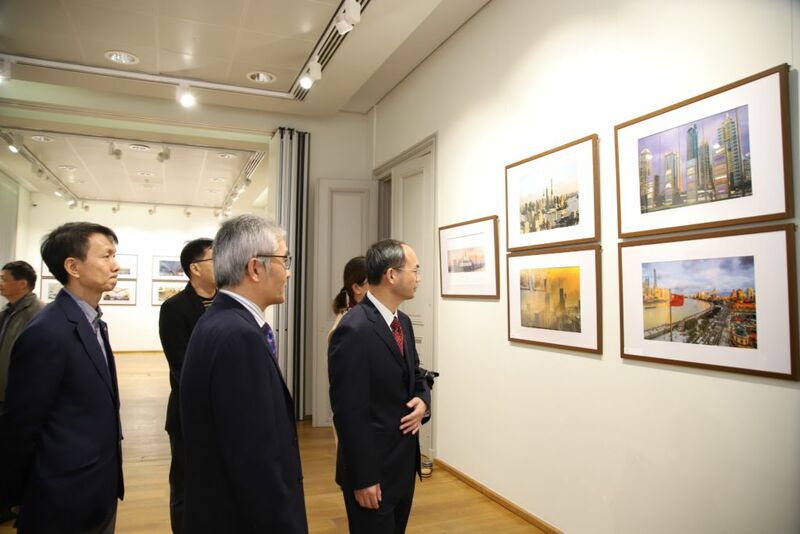 After the concert, the guests could enjoy delicious mooncakes at the reception and visit the photo exhibition that is currently on display at the China Cultural Center in Brussels until November 2. 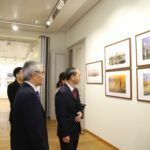 As the title of the exhibition suggests, “Spring Blossom, Autumn Harvest – Photo Exhibition on Shanghai’s Achievements in China’s 40 Years of Reform and Opening Up” shows the development of Shanghai, a city that has transformed itself into China’s economic center since the Reform and Opening Up policy was implemented. To top it all off, the clear skies showed the full moon, a sight to be relished by all.